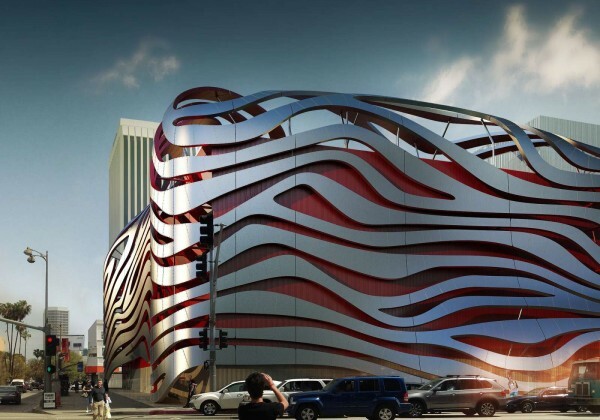 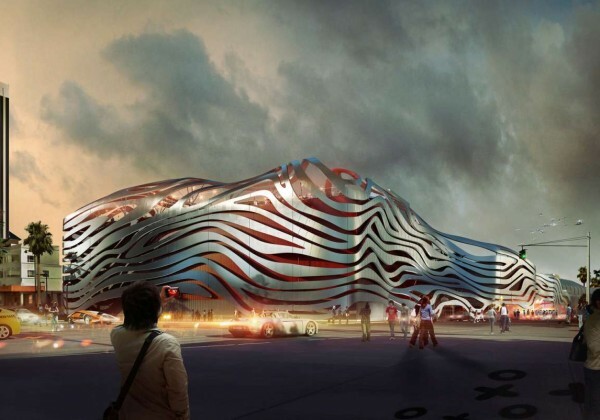 The Petersen Automotive Museum announced that it will mark its 20th anniversary in 2014 by commencing a complete exterior transformation and a dynamic redesign of the interior, resulting in a world class museum that will showcase the art, experience, culture and heritage of the automobile. 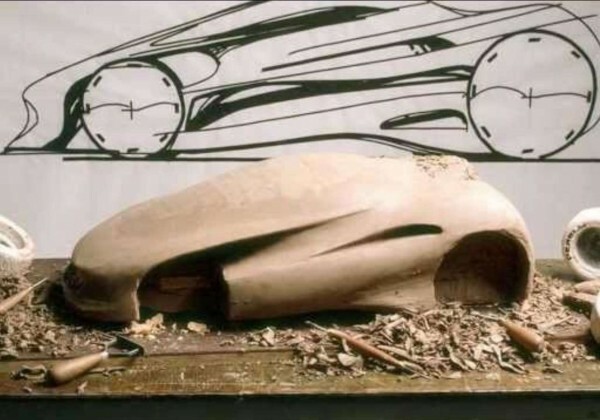 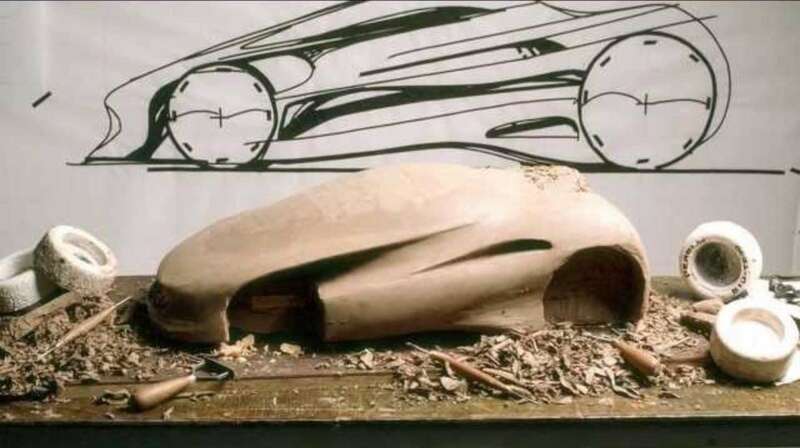 Displays will feature the prominence of the automobile in Southern California, as well as cars, trucks and motorcycles from around the world. 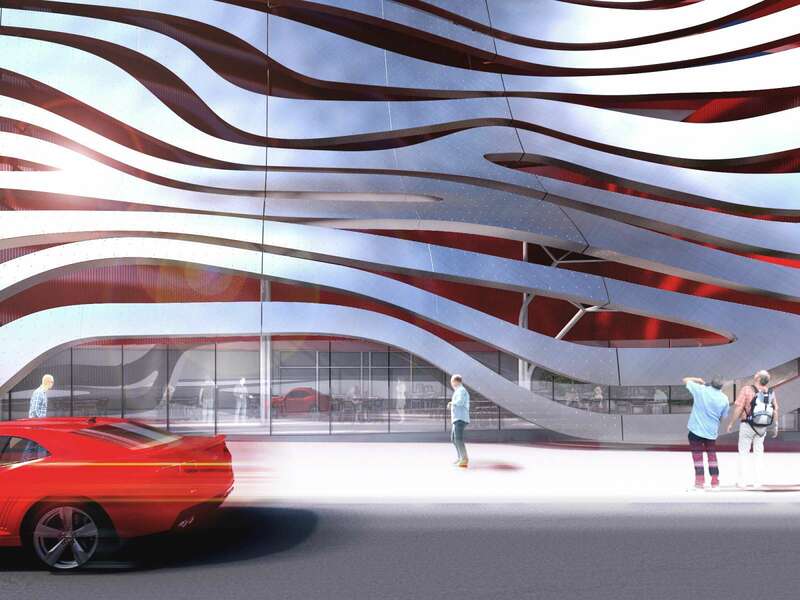 In addition to the facility upgrade, the new Petersen will feature a refined and upgraded permanent collection and an expansion of rotating displays, galleries, technology and story-telling, providing visitors with fresh, new experiences throughout the year. 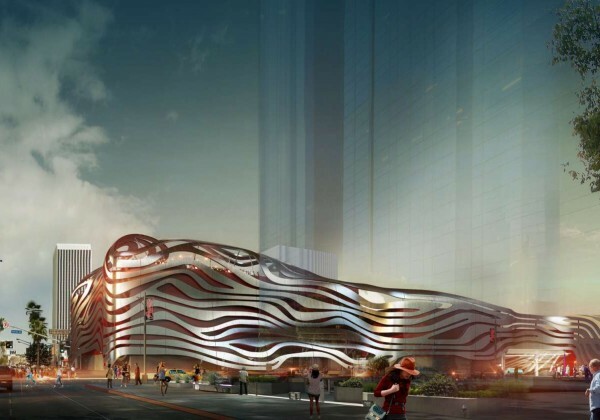 The exterior design by Kohn Pedersen Fox Associates will transform the Petersen building into one of the most significant and unforgettable structures in Los Angeles. 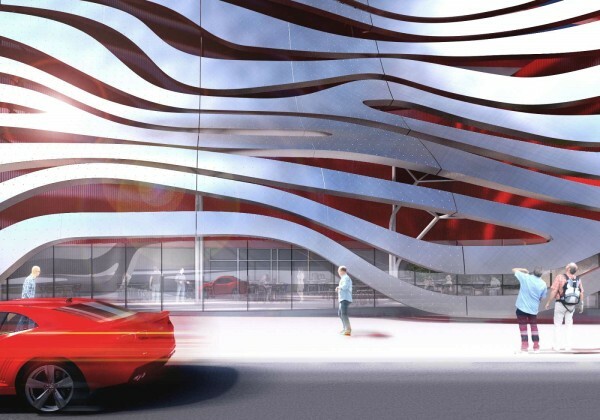 Long ribbons of stainless steel will wrap around three sides and over the top of the deep red building, making a visceral statement that evokes the imagery of speed and the organic curves of a coach-built automobile. 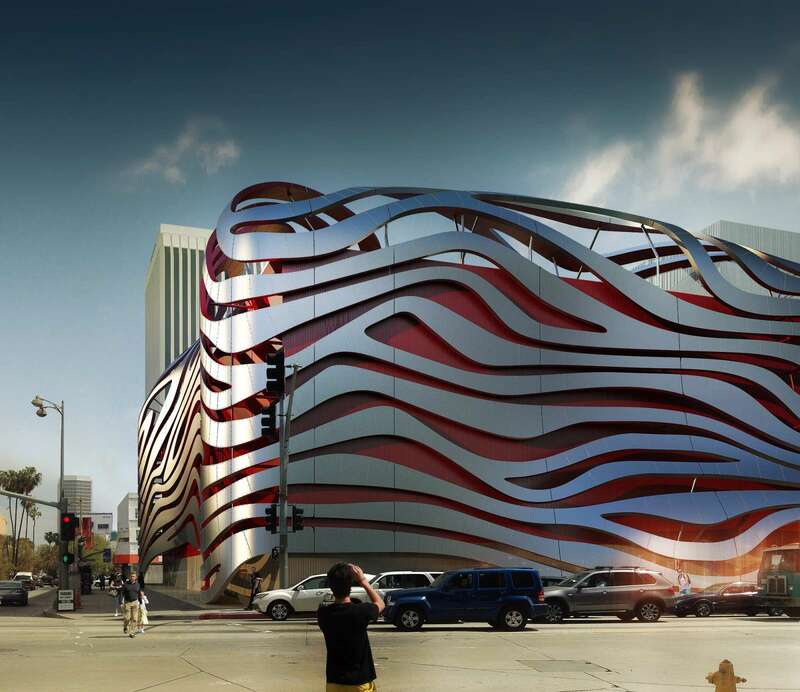 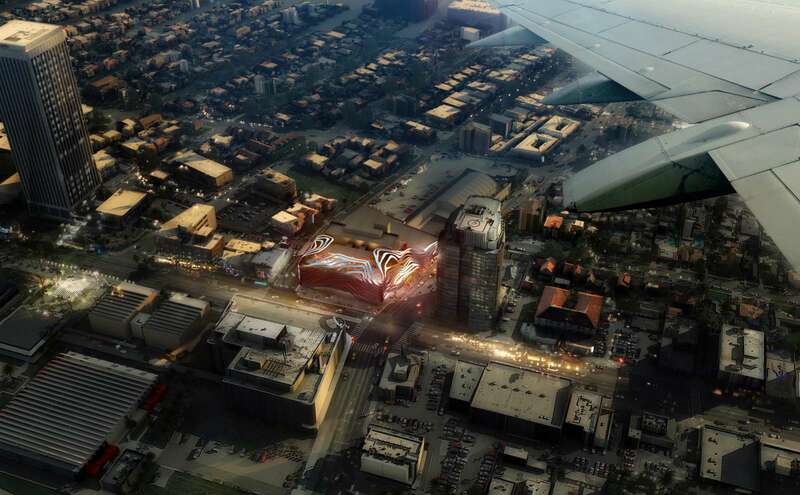 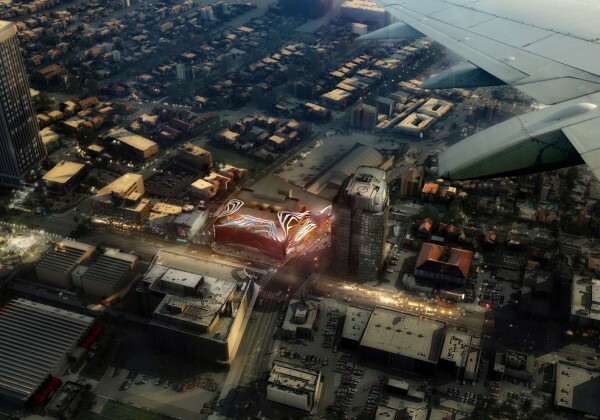 At night, the color and forms will be lit from within to accentuate the steel sculpture and act as a beacon in the neighborhood known as The Miracle Mile. 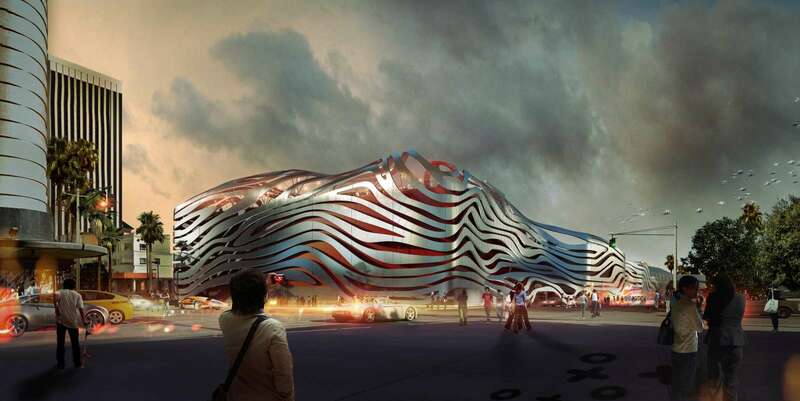 The transformation will extend to the museum’s interior as well, with a proposed additional 15,000 square feet of display space.Redesigned galleries will feature state-of-the-art lighting, digital displays and immersive learning stations that will tell the stories of the people and machines that changed the world over the past century. 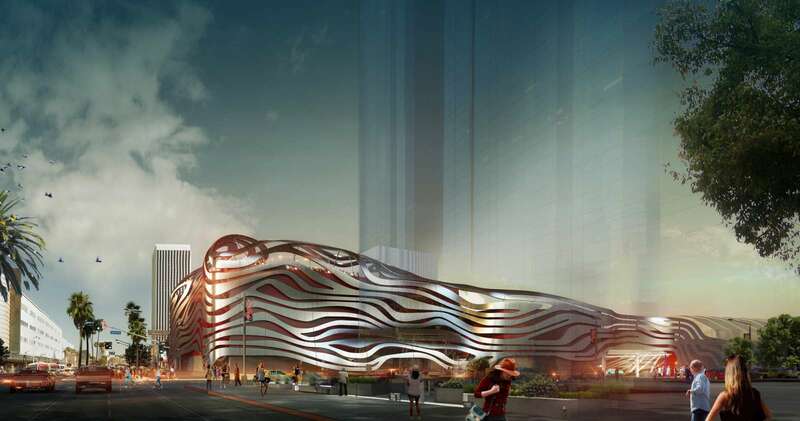 Education programs will showcase a restored and upgraded permanent collection that includes historically significant American and European classics, hot rods, groundbreaking race cars, the latest in alternative fuel technology, cars with Hollywood heritage and even vehicles designed and built in Los Angeles itself..